Hi guys - it's Saturday again! Just a few things to share here today with you all. I guess I'll start with another update on the job thing. Still no word, so I think it's safe to assume I am still going to be a full time blogger and stay at home mom. Which is perfectly fine with me. :) I need to contact them just to follow up and confirm though. And now on to the other fun finds from the week! Congratulations to Dee of the Parenting-Furkids forum on winning our giveaway from Easy Canvas Prints! Sorry if you didn't win, but we actually have another giveaway going on right now from BuildASign and one of the 6 prizes is an 8"x10" Easy Canvas Print. 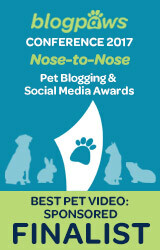 There are other prize options too like business cards and vinyl banners - great for pet bloggers! Enter the giveaway here! 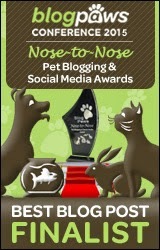 Our friend Dolly the Doxie is having a Fabulous Giveaway at her blog too! There is lots of dog food and other cool doggy stuff to be won. 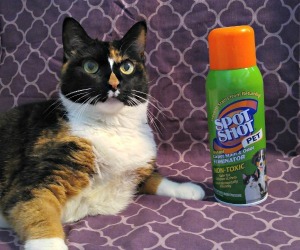 Living with a senior pet? 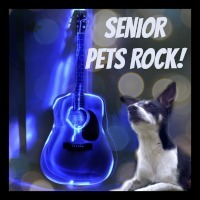 I think Senior Pets Rock! (As shown in the graphic I made below.) Over at Wise Paws, there was a great post with tips about the health care of senior pets - Over the Hill - Senior Dog Wellness. I read a really eye opening post yesterday at The Lazy Pit Bull called "The Truth About Animal Shelters". I really suggest stopping by and reading it. Then I read another wonderful post at BoingyDog in response to the post previously mentioned. "Honey, Let's Just Take Him to the Animal Shelter". Speaking of animal shelters, BoingyDog's post really made me feel for not only the pets that must stay there and fight for a home, but for the wonderful workers that try to help them. The tweet below really upset me because without the people who work at those shelters, those pets would be in even more danger. I can only imagine all the hateful things they must have to listen to from other people. Instead of people being hateful towards others, maybe they should direct their time and effort somewhere else. 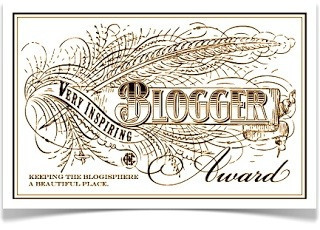 We were award the "Very Inspiring Blogger Award" by our friends at DogDaz. Thank you guys very much! We are honored to accept this award! Congratulations on your award. Have a super Saturday. Great round up and congratulations on your award! Have a good weekend! I'm job hunting too. What a challenge. Good that you are following up. Every HR person I've talked to says that is essential. Congrats on the nice award! Hey, I love that froggy, too cute! Congrats on the award! I wouldn't give up on the job yet. I've gotten jobs where it took me WEEKS to hear if I had it but yes, you do need to follow up! I know, but the girl said she would "definitely call me next week"... it's the week after that week but who knows? Congratulations to your award! I'm sad about this tweet too, not all shelters are perfect - but at last before some people attack the people who work for shelters, they should think about the reasons why we need shelters and why a lot of animals are homeless. Thanks Easy. Very true! I am sure that not everyone who works there are good to the animals, but I know many are! Congrats on your award! You are pretty darn inspiring! People who attack shelters have probably never been to one. Granted, there are definitely some shelters out who could use better, more animal-loving employees. There is no doubt about that. But the job is difficult, and often unrewarding. Many times, more animals must be euthanized than are adopted... and it's one thing to be an outsider and KNOW that reality... but it's quite another to have to WORK with that reality every day. I'll be honest. I couldn't do it. Volunteer in a shelter? Yes. But only in no-kill shelters. I couldn't work in the often hopeless environment of a kill shelter. For the people who can - no one should insult them for being able to do such a difficult job. Thank you Pam :) I have had to euthanize pets in questionable situations like that before. Like if the owners couldn't afford their care, etc etc. Some cases are harder than others, but I know it's definitely not the same as working at a shelter. Maybe that's why I can sympathize with them. Like I said with Easy's comments, I'm sure not every single shelter worker is an angel but there are bad people everywhere. Lots of good info. Sorry the job didn't work out. But congrats on the award. Hope all of you have a great week end. Congrats on your award, thanks for sharing some of these great articles!! Congrats on your award! Very well deserved. I guess I'm off to check out some of your links! :)Have a great weekend! COngratulations on your award! 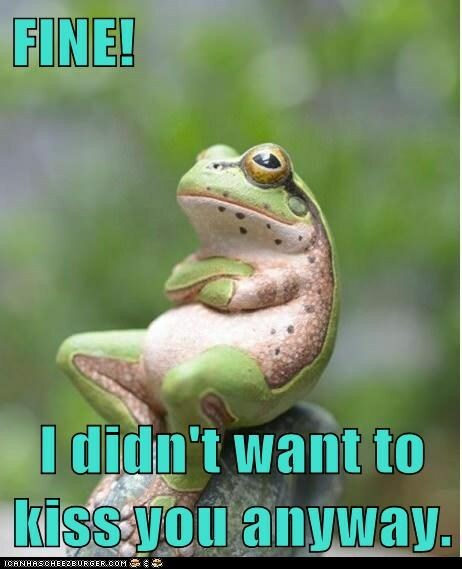 We're sorry the job thing didn't work out for now, but are confident that the right one will come along soon. We will check out your links now! I think working for an animal shelter must be one of the hardest jobs to do. Congrats on your award. Do follow up on the job. With vacations, maybe things got stalled. I can't imagine attacking shelter workers. Some people are such bullies on the net.